Titanium Foil as per ASTM B265 are available in Grade 1, 2, 3, 4, 5 from 0.02 to 0.9 thick and strip ≥0.1mm. ●According to globally recognized standards, such as ASTM, AMS, ASMEand provide third-party inspection reports, DNV accredited ISO 9001: 2008 quality management system. ●Ultrasonic Flaw Detection make sure thers are no defect inside. 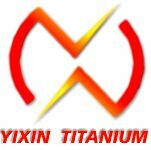 Looking for ideal Titanium Foil 0.05 Manufacturer & supplier ? We have a wide selection at great prices to help you get creative. All the Titanium Foil for Diaphragm are quality guaranteed. We are China Origin Factory of Titanium Foil For Speaker. If you have any question, please feel free to contact us.